Few music fans know the name Eugene Record, but many know his music. He was the composer and musical guiding force behind the greatest songs of the Chi-Lites, including "Oh Girl," "Have You Seen Her" and "Coldest Days of My Life." A true descendant of Smokey Robinson, Record's emotional songs portrayed love found and mostly lost, and his vulnerable, sensitive protagonists were quite a contrast to the "love men" (Barry White, Teddy Pendergrass, et. al.) who controlled urban adult radio in the late 70s and early 80s. Record left the Chi-Lites after 1976's Half A Love, and appeared headed for a bright solo career. But despite creating generally good material, his solo work never took off, and after three Warner Brothers albums he returned to the Chi-Lites in 1980 for four more LPs. Record's 1977 solo debut, The Eugene Record, was his most popular album. It included the minor hit "Laying Beside You," but was overall a step down from his Chi-Lites work. He came back strongly in 1978 with Trying to Get to You, a solid mix of ballads and dance tunes that he debuted in an appearance on Saturday Night Live. It was not a hit, but remains in demand by collectors to this day. In 1979 he released his first primarily dance-oriented album, the top notch Welcome to My Fantasy, which contained two wonderful disco tunes (the title track and the Andre Crouch collaboration "Where Are You"), but was unfortunately overlooked by both pop and soul radio stations. Record rejoined the Chi-Lites in time to record Heavenly Body, a moderately well received reunion album that boasted a minor hit in the title cut. They had better luck the next year with the album Me And You and the dance hit "Hot On A Thing." The Chi-Lites bounced from label to label during the next few years, releasing two moderately successful albums. Then, in 1988, while alone in his home recording studio working on a Chi-Lites project, Record says he heard God audibly telling him to change his life. He struggled with the meaning of the message for months, ultimately deciding that he would need to leave the group to pursue his spiritual journey. Record retired from the Chi-Lites in 1988 and lived well (and quietly) on residuals from his great Chi-Lites compositions. He spent the next decade moving into gospel music and evangelization, eventually releasing Let Him In, his first gospel album, in 1998 on a very limited basis. While a bit overreliant on synthesizers rather than organic instrumentation, Let Him In was a welcome return for Record, whose voice sounded great throughout. In 2001, Record co-produced a local Chicago R&B girl group called C-Nario and was happy working with the Praise and Worship Team at his Chicago church, Crusaders Church. He also reunited with the Chi-Lites for one night for the PBS Soul Music special in March, 2004, and saw his classic Chi-Lites tune, "Are You My Woman" remade as Beyonce's across-the-board Grammy Winning hit, "Crazy In Love." Record planned to remix and re-release Let Him In, but illness ultimately prevented him. After a battle with cancer, he died on July 22, 2005, leaving a rich musical legacy. 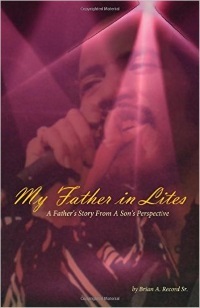 His life is memorialized in his son Brian's biography, My Father In Lites.